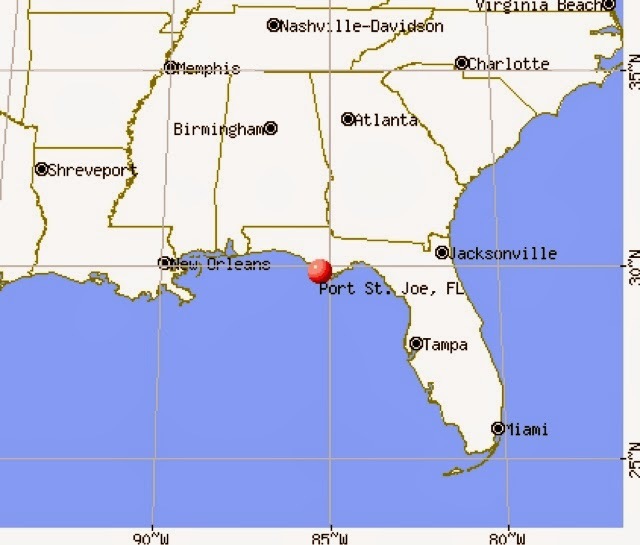 I drove the 5.5 hours from Leesburg to St. Joseph Peninsula State Park Florida. St. Joseph Peninsula is southeast of Panama City and southwest of Tallahassee arriving about 2:30 pm. I am just short of entering the central time zone here. I chose this park for its beauty and location for my staging to prepare to travel to Atlanta on Wednesday, weather permitting. It was just a few days ago that this whole area was covered with ice making travel impossible. I don't want to contend with anything like that. This park is known for its biking with a bike trail along side the road for about the 10 miles back to mainland. Now that my bike is ready it's a great place to some riding. My trip on Sunday am was with little traffic and kind of boring until US98 came along side the golf opening up to houses along the coast on stilts for hurricane protection. There are plenty of houses and land on the Gulf for sale here. They call it "the forgotten coast". I even saw a Piggly Wiggly in stown nearby reminding me of the one that used to be on Fitchburg on River Street across from Dairy Queen. I decided to go wet in the camper believing that low temps shouldn't be a major issue in the future. 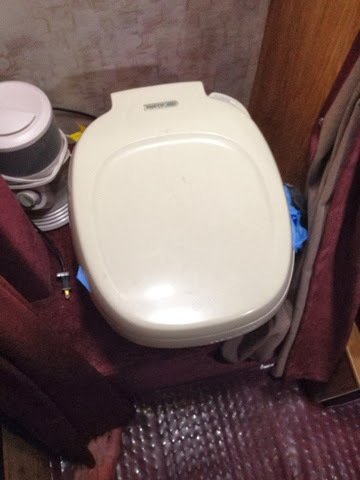 So, I arrived and hooked up the hose for the first time and had a leak where the water tube goes in the back of the toilet. It didn't appear to be just something that needed to be tightened as I did try tightening the riser tube nut. The problem is that the area is in the back and you have to have a mirror and flashlight to see anything. My guess I will need a part from freezing damage. When I got the camper it was at the end of November and it was already freezing every night and the previous owners didn't winterize it. Although I did attempt winterizing I didn't think of purging the toilet valve. This reminds me of winterizing the camp and forgetting the spray nozzle at the kitchen sink. If I forget to squeeze the handle to let the water drain out the water inside will freeze and crack the spray head. In retrospect I just didn't know what to do even though I read the documents that came with the camper and read what was online regarding winterizing the camper. I didn't detect other leaks this afternoon, but you never know. Now to remove the toilet and find out what I need to do. If possible I would be ok finding a plug for the supply line and running water to other places as I am not currently using the toilet. On to TV for this evening. I was thinking of watching the Super Bowl this evening but my normal process to get stations by putting the antenna on one of the 3 rear windows didn't give me any stations. After playing around with the antenna I figured out I could get a couple stations but not the Super Bowl if I mounted the antenna outside. I came up with a makeshift antenna mast from my window scraper/brush that's been doing nothing since being up north. 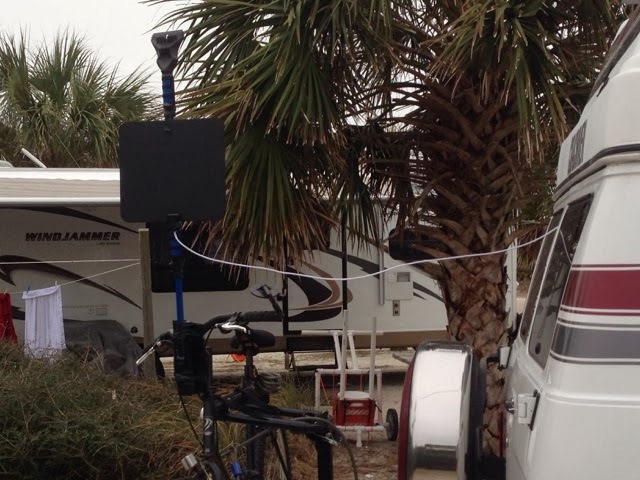 I mounted it to my bicycle handlebar shaft that allowed me to fine tune the direction by turning the handlebars to align with station signal. I was looking forward to biking the trails so I hope this front with rain holds off here so I can get at least a half day in tomorrow. 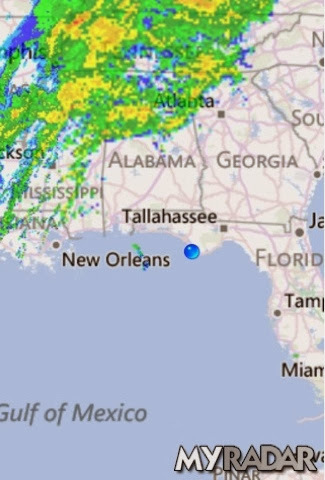 In any case it's only showers predicted for here not the steady rain like in Georgia area.